Mr. Darius Adamczyk, Chairman & CEO of Honeywell, visits COMAC__Commercial Aircraft Corporation of China, Ltd.
A group photo taken on January 24th, 2019. Mr. 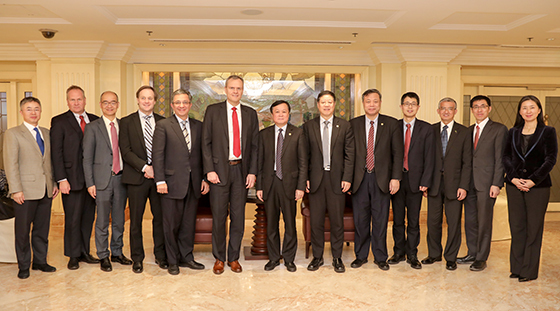 He Dongfeng, Chairman of Commercial Aircraft Corporation of China, Ltd. (COMAC), met with Mr. Darius Adamczyk, Chairman & CEO of Honeywell, and his delegation in Beijing on January 24th, 2019. Both sides had a friendly talk. Mr. Guo Bozhi, Vice President of COMAC, attended the meeting.